No real rhyme or reason, just looking through all my photos and came across this one of Boston, my home turf. 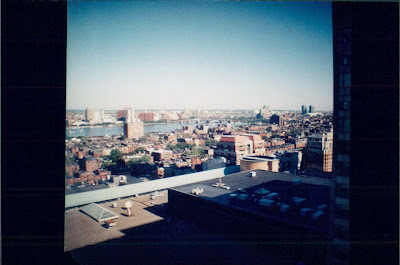 It was taken from the Hilton in Back Bay while getting ready for my best friend's wedding. Lots of good memories here, not to mention the way the Diana Mini adds character to the photo itself. I hope everyone, who hasn't already, gets to experience this amazing city somehow, someday.